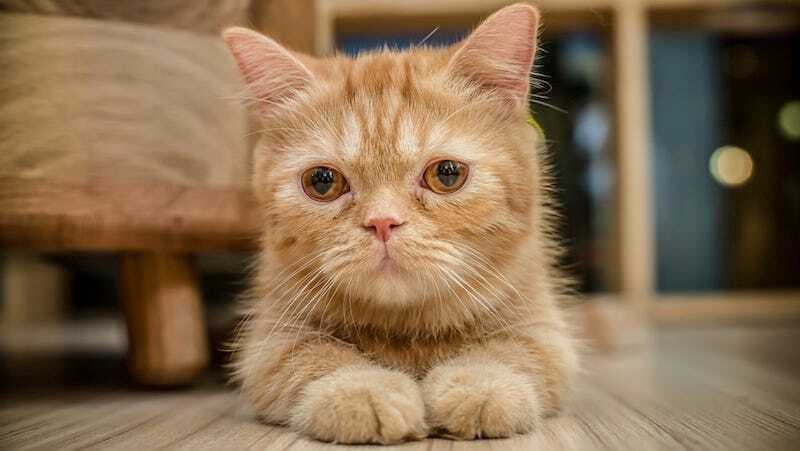 After being open for only a month, Catfé, which is currently Vancouver’s sole cat cafe, has briefly shut down due to all of their kitties finding loving homes. Now it’s just a regular cafe. :( But it’s still good news! According to Huffington Post, the cafe, which works with the BC SPCA, is made to house 12 cats at a time. The shelter sends over its “most social” felines to meet with visitors. “Our aim is to have anywhere between eight and 12 cats at the cafe, which will fluctuate as cats get adopted out and more cats arrive,” the cafe said. Some have suggested that the cafe work with other rescue shelters to house more cats, but Catfé already looked into it and it didn’t seem possible. “Most shelters are not willing to mix their cats with other shelters’ cats, due to differing protocols,” it said. The cafe plans to be freshly restocked with kitties by Friday, January 8.